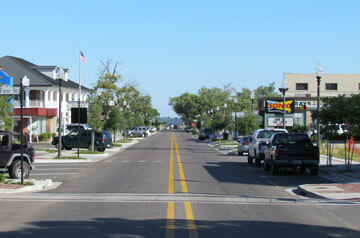 Long Beach is a small city/town situated between Gulfport and Pass Christian along the Gulf Coast. For those relocating to Long Beach, there is a diverse selection of homes from which to choose. Single-family homes, condominiums, townhouses and multi-family homes are a few of the options. Homes are located along Highway 90 which runs parallel to the gulf and many are situated within the inland areas that surround Downtown Long Beach. The average age of homes is 26 with many Long Beach homes for sale being somewhat newer due to the effects of Hurricane Katrina in 2005. The City of Long Beach has a small downtown area of shops and businesses that is still growing around the new central green. A favorable central location with the proximity to Gulfport as well as nearby cities and towns including Diamondhead, Pass Christian and Bay St. Louis contributed to a large number of high rise condominiums being built in Long Beach. This city is nicknamed ‘The Friendly City’ and has many desirable traits including a high rating in the educational area. The Residents of Long Beach real estate are served by the Long Beach School District. There are five schools, which are attended by approximately 2,700 students. Long Beach High School provides excellence in academics through the award winning vocational classes and college preparatory classes offered. It was named a National Blue Ribbon School in 2007 by the U.S. Department of Education. In addition, the gulf coast campus of the University of Southern Mississippi is located on Beach Boulevard in Long Beach. Long Beach offers a variety of recreation with its subtropical climate and proximity to the beaches along the Gulf of Mexico. Water sports, fishing, boating and swimming are just a few. There are many shops and eating establishments in several areas including downtown Long Beach and a number of attractions that may be enjoyed in nearby cities.